Chocolaty treats and kisses are everywhere on Valentine’s Day. Why not combine the two? Whip up these three varieties of cocoa-flavored lip balm — held in adorable heart-shaped containers — for the sweethearts in your life. Who knows? Maybe you’ll get a thank-you smooch. After learning I was pregnant with my second daughter last year, I did my best to prepare my two-and-a-half-year-old, Juniper, about our forthcoming family member. She talked to her sister – whom she’d nicknamed “Kiki” – in my expanding belly. We sorted baby clothes and read books with plots about a new sibling’s arrival. She weighed in on the rug I chose for the nursery. I bought her a “big sister” T-shirt. The last months of my pregnancy were filled with gleeful anticipation. So when the baby came in November, Juniper was thrilled. A little too thrilled. Juniper was so psyched, my husband, Sean, and I worried she’d hurt our newborn, Cora, by accident. Her hugs approached strangulation. I turned away for a moment, only to find Juniper trying to soothe her crying sister by nearly launching Cora out of a bouncing chair. Now that the festive winter days have arrived as fast as a belly-whopping Frosty the Snowman, nothing tastes merrier than a homemade holiday cookie. These Cocoa-Peppermint Buttons — a recipe adapted from “Good Housekeeping Kids Bake!” — are jolly good. Just don’t eat them all at once . . . or your belly may resemble that of a certain white-bearded fella. As a child of the Richmond suburbs, I boomeranged back to the city after 12 years. And while the Richmond of my youth is recognizable, something happened while I was away: It has become downright cool . . . and delicious. Yes, its charm, friendliness and easy parking remain. It has experienced a rapid proliferation of craft breweries, especially in the increasingly hip Scott’s Addition. Longtime dining and shopping districts such as Carytown and Shockoe Bottom can’t rest on decades-old laurels, as other neighborhoods (Church Hill, Jackson Ward) are being reinvigorated by talented chefs and creative innovators. It’s a renaissance I’m savoring one bite at a time — whether I’m devouring a steak gyro from a food truck (Dank Eats) or a Wiener schnitzel at a restaurant (Metzger Bar & Butchery) co-owned by an “Iron Chef” competitor — and a bonanza for visitors. ​Blowing bubbles is a blast. Too bad they pop. But you can help them make a lasting mark by creating stickers from their bubbly bursts. Be warned: This gets messy: Wear clothes that can get stained, or your parents might burst your bubble-making enthusiasm. 1. Measure 2½ inches of a pipe cleaner. Form that part into a loop, securing it to the longer part of the pipe cleaner (this will be the wand handle) by crossing it under and folding over. Shape loop into a circle. Repeat with remaining three pipe cleaners. Celebrate Thomas Jefferson’s April 13 birthday by making this take on his macaroni recipe tweaked for today’s young chefs. This isn’t everyday mac and cheese: The noodles aren’t hollow, and the Founding Father’s handwritten recipe doesn’t call for cheese. Still, we added Parmesan, a cheese he enjoyed. At 37, I’ve been a journalist more than half my life. While my work has followed a wide array of topics — from flying cars to a Ginger Baker documentary — I typically shy away from the controversial, instead writing pieces that focus on life’s upbeat or atypical aspects. Since I had my daughter, Juniper, nearly 2½ years ago, my tendency to “play it safe” grew. During the Women’s March in January 2017, I was frantically weaning Juniper two months later than expected — while moving for the second time in less than two years. When debate raged last summer over Confederate monuments, I opted not to pitch a story idea — in which I’d photograph daily happenings at Confederate statues along Richmond’s Monument Avenue — thinking I’d put myself, now a mom, at unnecessary risk. Rather than snatching chocolates off a shelf for Valentine’s Day, make loved ones a more heartfelt version by molding your own. The ingredients can be found in your grocery store’s baking section, while the equipment — such as an ice cube tray — is probably already in your kitchen waiting to reveal its chocolate-making potential. Imagine a flying car. Does it look like a fancy sports car with foldable wings? Or a Jet Ski-like craft that seems to float above water? That sports car/plane combo is called the AeroMobil Flying Car. The latest model — which can be ready to fly in less than three minutes — was previewed recently with a promised arrival of 2020. The vehicle zooming above water has a name, too: the Kitty Hawk Flyer, an all-electric creation expected by year’s end. These are two of more than a dozen present-day plans. What’s driving this sky-high frenzy? Clutching a snowsuit, I faced a marital dilemma. This snowsuit was blue. With a football helmet on it. There was another option in the 12-month size at my local Kid to Kid children’s resale store — a more attractive plaid for $15 — but to pay twice as much seemed silly, even downright wrong. 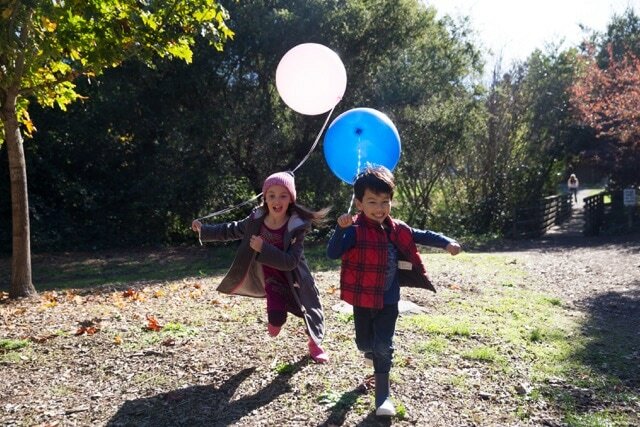 Chuckling, I wondered if other parents were increasingly following variations of what I’ve dubbed my “consignment mama” mindset – i.e., a preference for buying youth clothing and toys secondhand. Are we in the midst of a children’s resale renaissance? Or is this something I’m only aware of as a new parent? After all, eBay is well beyond its adolescence and Goodwill is a household name. So I did what any curious, stay-at-home mommy/reporter would do: I set up nap chats (i.e., interviews during Juniper’s afternoon snooze) to dive into the bargain bin of buying for kids. “We tried corn on the cob, and he fell in love,” says 56-year-old John Griffiths, one of two volunteer handlers who cares for Phil year-round. In addition to carrots, celery, lettuce and kale, Phil eats granola bars. They’re treats with a purpose: Groundhogs have two teeth that never stop growing, so the bars help Phil wear them down. Having a baby gives a person perspective on their life relationships … for better and worse. There are people who show up empty-handed during the delirious early days and drink most of your diminished beer supply. Others arrive unannounced, leaving an aromatic bowl of beef stew on the front stoop. Yet it’s the increasing essentialness of one particular acquaintance that’s surprised me most. The NPR News app on my iPhone. While I’ve listened to NPR for years — usually when driving or doing housework — I’ve recently noticed that the app I’ve often taken for granted (like a faucet I could turn on and off when needed) is gaining appreciated prominence in my daily life. Why? It likely has something to do with the fact that the two beings I spend the most time with — a fearful dog and a feisty 1-year-old — communicate mostly through barks, babbles, whines and cries. As a fledgling stay-at-home mom, sporadically listening to public radio throughout the day has been a sanity-saver as I adjust to a life that’s dictated by nap and meal schedules. Nate Butkus isn’t afraid to ask the tough questions. These are just a few the 6-year-old has asked on “The Show About Science,” a podcast he’s hosted since July 2015. 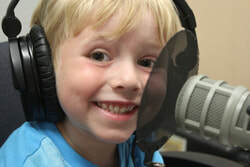 The recorded audio show — which can be listened to on a computer, cellphone or other streaming devices — features the Wilmette, Illinois, first-grader talking with experts in the subject he’s loved for half his life. One thing I’ve learned as a new stay-at-home mom is to make the most of life between my baby’s naps and mealtimes. That’s why I ran past the yachts and sailboats anchored along “Ego Alley” in Annapolis, Md., to flag down the Harbor Queen before its last daily departure at 4 p.m. The outing came at the tail end of our three-day getaway, our first solo vacation as a young family. We had settled on this early fall trip to the small, coastal city after booking — and then canceling — a trip to Bar Harbor, Maine, after realizing that the prospect of flying and sharing a hotel room with a baby, while doable, didn’t sound all that relaxing. ​Rembrandt I am not. Nevertheless, I’m residing in a room named for the Dutch artist. The well-appointed space — outfitted with a queen bed and private balcony— is one of eightbedrooms named after creative masters (Dalí, Vermeer) at the Shenandoah Art Destination, a few miles from Lexington, Va. I’ve come to unwind, work on my oil-painting technique and, as it turns out, paint a manure spreader.